Effective today, Dr. Fazley Siddiq has joined the UNB family as professor of Economics and Finance, and the new Dean of Business for the Saint John campus. Dr. Siddiq comes to UNB Saint John from Dalhousie University and brings an outstanding record of teaching, research and leadership experience. "In addition to advancing learning and discovery at UNB in my new position, I am looking forward to becoming part of the Saint John community and to help advance economic development in Saint John, the province of New Brunswick and Atlantic Canada," states Siddiq. Joined by his wife Lily, an early childhood educator, both are looking forward to when their daughter Ishita, a resident in pediatric neurology at the University of Toronto and the Hospital for Sick Children, and their son Auyon, a PhD candidate in industrial engineering and operations research at the University of California at Berkeley come to visit. The self-proclaimed news junkie loves to follow CBC, BBC and CNN to keep up with the events of the world. Siddiq brings a wealth of skills and experience to his new role. 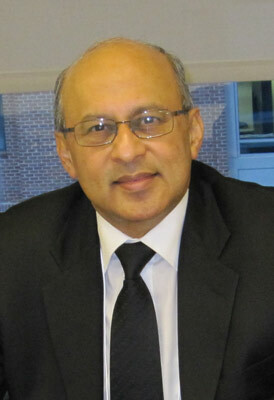 He has served as the Director of the School of Public Administration at Dalhousie University from 2005-2011; was the 2012-2013 Fulbright Visiting Research Chair in Canada-US Relations at the Woodrow Wilson International Centre for Scholars in Washington DC; and a Fellow at the John F. Kennedy School of Government at Harvard University in 2011-2012. Siddiq has also taught at Queen's University in Kingston, Ontario and early on in his career has worked for the World Bank and the United Nations Development Program.